“Lone Wolf Rising” is a wonderful supernatural read. It follows 17 years old Rebecca and her transformation and integration into a werewolf pack. I am admittedly not overly keen on the genre and was reluctant to follow the recommendation by a friend but am glad I did. Blood thirst comes in many forms: Rebecca’s desire to avenge her parents, and the past history between Vampires and Werewolves. But one can’t always give in to one’s desires, or can one? Having a heroine that is strong and sometimes weak is what made this story interesting for me. I really felt for Rebecca as she learns to hit the ground running in her new life, her role in the pack and her responsibilities and challenges. What strikes me most about Lone Wolf Rising is that it offers a lot of detail about the supernatural world, showing that the author has a deep love for the genre and is not just following a current trend. The characters and side plots are all thought through and detailed; the conflict between Vampires and Werewolves has a long history and is not just an fancy façade to fill in the gaps. The story was clearly written with care and came out a true labour of love. There is something very genuine and likeable about it that made reading it very enjoyable and special. If you love the genre, you must read this. Jami M Brumfield has a passion for the paranormal, supernatural, and mythological worlds for most of her life. She believes there is a kernel of truth in every story and loves playing detective to discover what that hidden truth is. She has written most of her life. 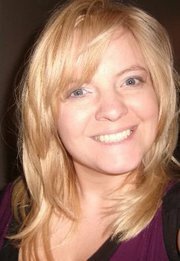 She started with poems and short stories, then graduated to journalism working for online websites like examiner.com. It was only a natural progression that her love of writing and her passion for the unknown would combine. 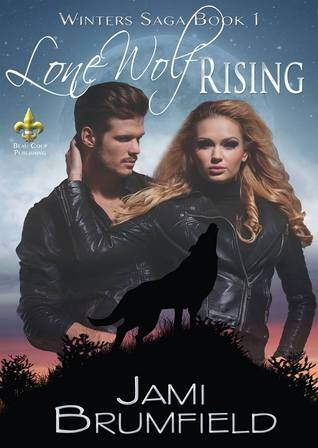 Lone Wolf Rising the first book of the Winters series is the product of that union.